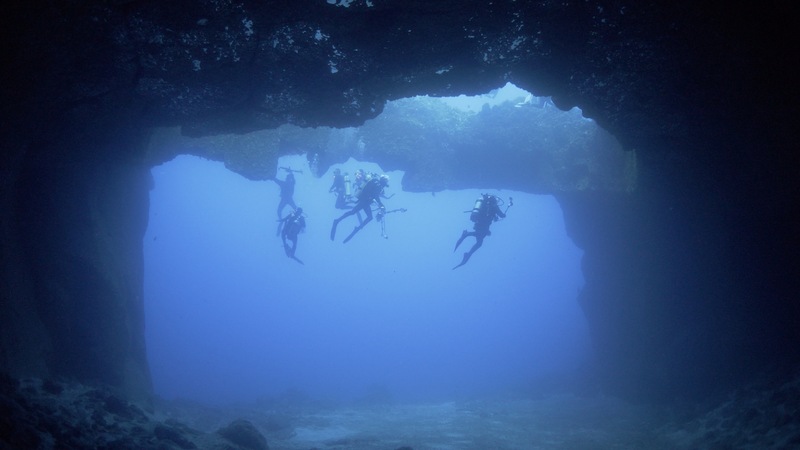 Comments: Roca Partida is one of the world’s unique dive sites. At this tiny rock that barely sticks out of the water, miles from anywhere, including the sea floor, the oceanic currents carry nutrients and pelagic life of all kinds to the surface where they form a tenuous ecosystem based on one hurricane-ravaged rock. The scuba diving here can be spectacular, but the challenges of staging dives in open ocean conditions can often be formidable, presenting in the form of surge, current, and rough choppy seas. Whether he is on board or onshore, Captain Mike obsesses over his computer weather models and always gets us out there during the very best weather window. We arrived to find seas eerily glass-like and the cloudless sky shining down on us. We did have a consistent, strong current running past the rock, which made rounding the north and south points difficult, but of course where there is current there is life! Silky, Galapagos, and hammerhead sharks made numerous appearances, along with large schools of yellowfin tuna, almaco jacks, trevally, and the innumerable triggerfish and reef animals that we’ve come to expect. But where were the giant manta rays? The mantas circled warily deep below us, deigning not to approach or interact with us, and remained standoffish for the two days we were here. 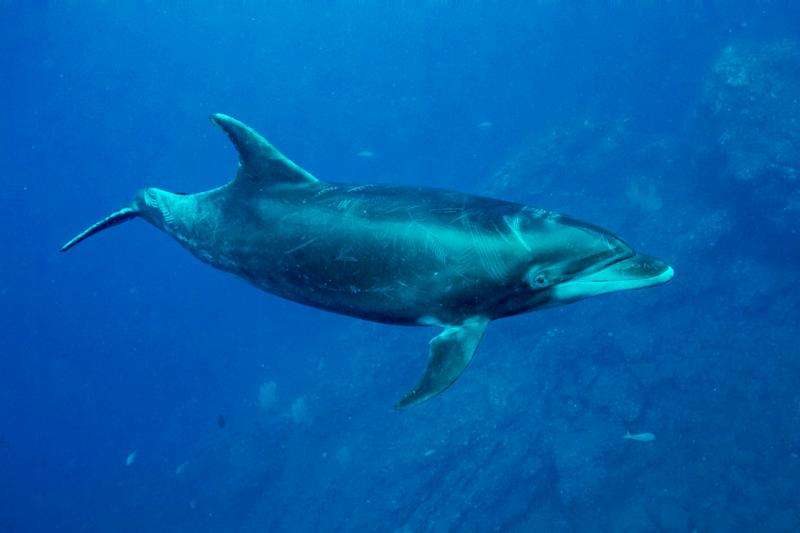 And once again, it only reinforced the fact that when diving with large, migratory pelagic animals, we can make no guarantees and have to work on their terms, not ours. It is unusual, however, to have two days at Roca Partida with no manta encounters. So, taking a page from our last trip, we headed “upwind” of the current to do a pelagic, blue drift dive. Last trip it worked really well, and gave a wonderful dive experience. This time, I’m afraid the results were decidedly more mixed, but all the divers agree that it was very relaxing and zen-like to play in each other’s bubbles looking out into the blue, with no current or surge to think about.